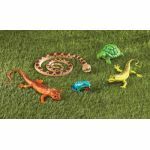 The animal kingdom comes to life with these oversized figures representing iconic members of the reptile and amphibian classes. Sized just right for little hands, each easy-to-clean figure sparks scientific and imaginative curiosity with vibrant colors and realistic details. 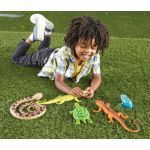 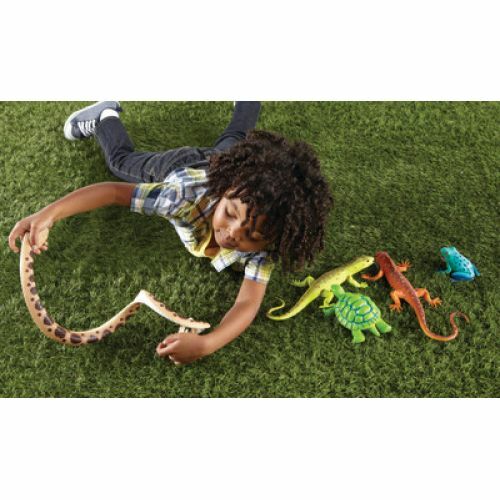 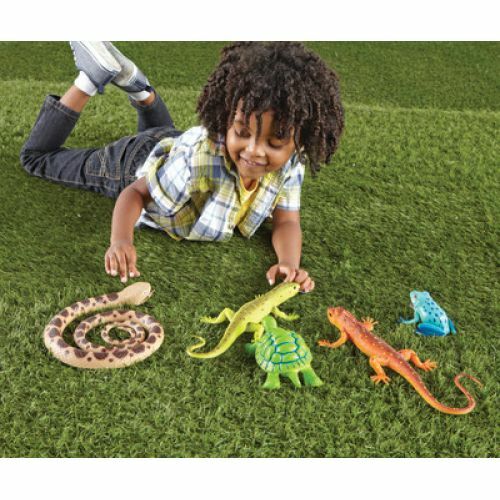 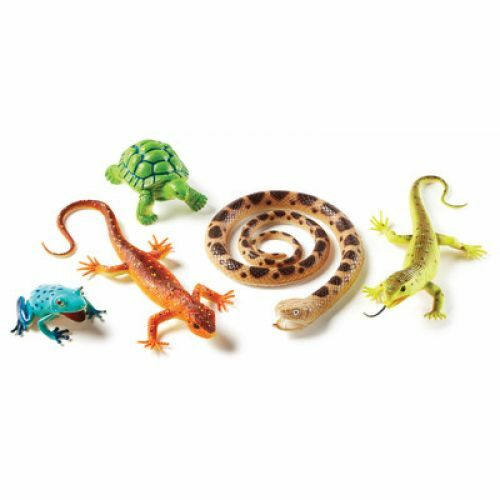 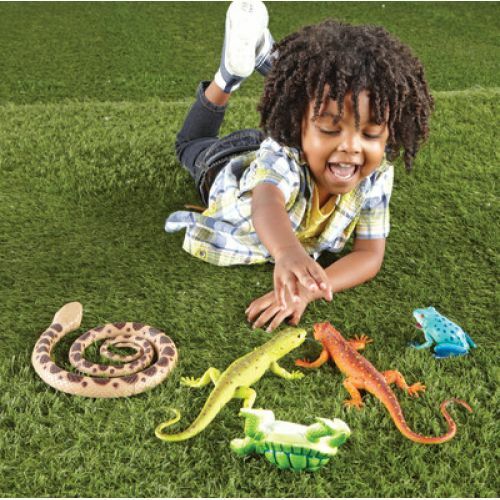 Teach kids about the slither of a snake, the chirp of a colorful tree frog, and the darting glances of a gecko with this five-piece set (which also includes a tortoise and an iguana), or let imaginations run from one wild kingdom to the next during inventive dramatic play sessions. 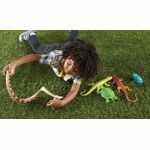 In addition to looking life-like, each figure is also tough; made from durable heavy-duty plastic, they'll stand up to years of play (and even an outdoor safari or two). 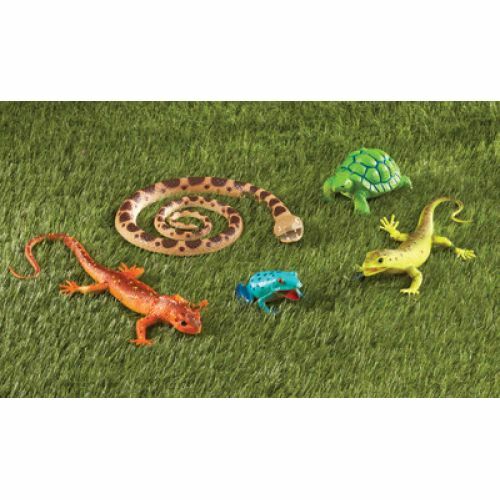 Each set also comes with an educational guide that's filled with fun facts about each reptile and amphibian. For ages 2+. Can be combined with critters from other Learning Resources Jumbo Animals sets.